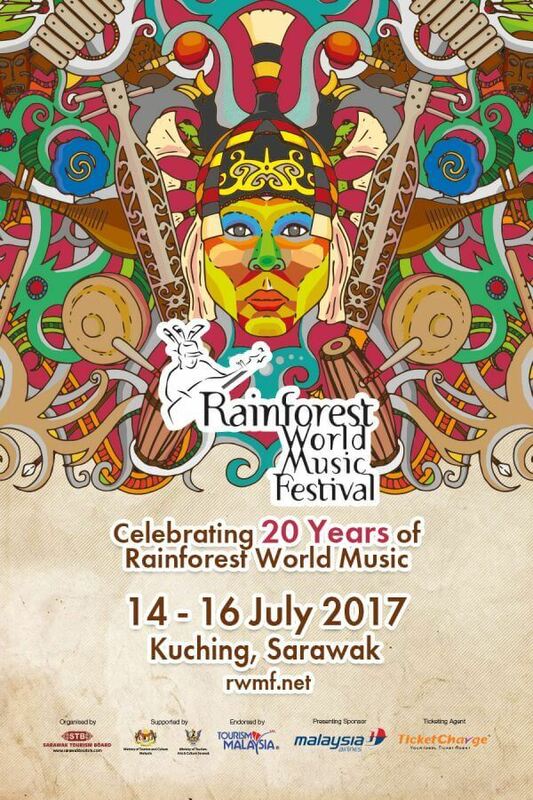 Rainforest World Music Festival 2017 is happening from 14 to 16 July 2017. Now entering its 20th year, the Rainforest World Music Festival encourages the appreciation and preservation of ethnic art and music from around the world, with some artists bringing modern interpretations of their traditional arts while others express their perennial music, echoing with untouched sounds from centuries past. The festival has interactive afternoon workshops where the audience has the opportunity to learn and play the indigenous musical instruments and understand the heritage connected to them, while later witnessing the full potential of the instruments in the hands of a master during the night performance. In support of all cultural arts, including traditional cuisine, craftsmanship, games and tattooing, festival-goers are able to taste a variety of local delicacies, buy local handicrafts, play traditional games or even watch a traditional hand-tap tattoo at the tattoo expo. The festival has been awarded the “Songlines’ top 25 Best International Festival” for six years in a row since 2010, and is one of a kind in the region with more exciting new ideas around the corner for the 20th edition in 2017. Early birds promotion is happening from 20th January 2017 while stocks last. * Prices are quoted in Ringgit Malaysia and include RM4.00 processing fee. * Free admission for infant in arms and child aged below 7 years old. * No cancellation or changes allowed once ticket sold. * Outside food & drinks are not allowed. * TicketCharge’s Conditions of Sales apply.